…in clinical and healthcare contexts that means lives are at stake. Human Factors (also called ergonomics) is a discipline that considers both the physical and mental characteristics of people as well as the organisational factors or wider socio-technical system. It is the application of scientific methods to the design and evaluation of tasks, jobs, equipment, environments and systems to make them more compatible with the needs, capabilities and limitations of people. 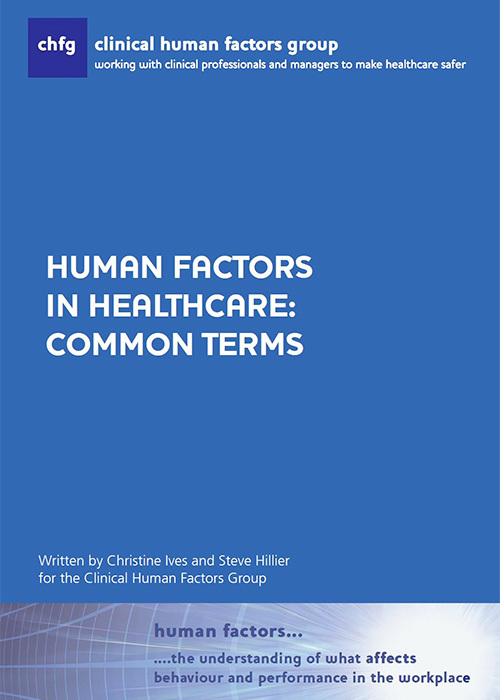 In healthcare Human Factors can improve human performance, optimise well-being, improve both staff and patient safety and experience and improve the overall system performance. Human Factors, when applied systematically throughout the organisation, has the biggest impact. Research shows that 2017 was the safest year in aviation history. Whereas, the NHS continues to have 150 preventable deaths per week. Download a PDF of “What Good Looks Like – Prompt Cards” – Observed behaviours of organisations that apply human factors in their daily work.